Analysis of the market activity of uranium securities. There are very few pure uranium companies. Most companies, especially the small exploration type, are active in more than the uranium industry. This blog makes no attempt to guage the percentage of a companies activity that are related to the finding, mining or processing of uraniun. They all do, however, have some uranium activities (to the best of our review). I have developed two Uranium Indices. They each have the same component stocks but are calculated using different methodologies. My weekly Index is based upon the average weekly performance of the component stocks. My daily Index is based upon the daily average of the component stocks open, high, low and close prices along with the daily average volume of all component stocks. Click on the chart or table to enlage the view. This is a difficult post for me. Over the past few years I have had the privilege of posting comments and analysis relative to the technical market activities of North American uranium stocks. Unfortunately, things have come into focus recently that cause me to hang up the shingles and finally, after over 45 years following the markets, retire and take some relaxation time with the family. I had previously packed up my Aerospace Consulting business and now am packing up the market guru business. This is not the end. I hope in some manner to continue commentaries and stock analysis but not on any kind of regular basis. Where I am going with this end of my activities I don’t know at this time but I thought I should let my uranium followers know that regular posting is not in the cards for the future. I expect to be keeping my Uranium Indices and Weekly Tables up to date for the foreseeable future and may make some use of them from time to time. My thanks and appreciation to all those who have followed my commentaries and to the many who have provided favorable (and occasionally, unfavorable) comments on the postings. Thanks for all of the years of Uranium advice. Sorry to see you go while others less qualified should go. You called the shots so accurately that this hiatus is shocking. Hope to see you back someday. I appreciate your work over the years. Your page is one I visited everyday. Best of luck, and I hope to continue visiting! Thanks Merv for all your insight. Take care and hopefully hear from you sooner than later. Thanks again. u have been so generous........wonderful concise simple analysis...... thanks so much and best wishes to you and your family! Thanks for all the advice Merv! Thanks for all the excellent work. You have saved me a ton of $$$$. I wish you well in your new path and I am sure your Grand kids will appreciate your attention. Yours was one of the few icons on my bookmarks bar. Sad to see you and your blog go. Happy trails Merv and, many thanks. Thanks for all the time investments you did in the last years. You didn't know how you help individual investors to make better decision in uranium sector. Long life to yourself and yours family. Thank you for your insights into uranium investing. You've been great source of unbiased and objective information - hard to find these days! Thank you for being part of my day. I have really appreciated your insight over the years. Best of luck! Will miss reading your commentary, graphs and charts, all the best to you, but would you please reconsider? Here's hoping you enjoy whatever you may choose to do with your time! Once again, thanks for your uranium tables and technical insights - there's nothing quite like it available elsewhere. I will miss your commentary and analysis, Thanks, enjoy your retirement, you deserve it. Thanks for sharing your time and expertise. It has been a privelege. Thanks for your great work and research. This blog was a must be for me and all uranium investors. Your work was very helpful for all of us. "Die besten Dinge im Leben sind nicht die, die man für Geld bekommt. " Thanks a lot Merv for your factual comments over the years, I've been reading you for several years now. My best wishes for your well-deserved time with your family, and don't forget that if you want to resume your comments, you have a crowd of followers ! I would just like to say you are a Gem, with the efforts that you have put in over the Years. P.S. Thanks for that offer of assistance in Charting that you gave yo me some years back, it's been remembered. you have only one failing: You have not trained your successor. Who will it be? I will if you want. Thanks for all the advice. A gift. During the day I practice my engineering profession as a Consulting Aerospace Engineer. Once the sun goes down and night descends upon the earth I don my other hat as a Chartered Market Technician (CMT) and try to decipher what’s going on in the securities markets. As an underground surveyor in the gold mines of Canada’s Northwest Territories in my youth, I have a soft spot for the resource industry and have developed several resource Indices reflecting different aspects of the industry. As a basically lazy individual my driving focus is to KEEP IT SIMPLE. Technical analysis tries to define what IS happening in the market. Fundamental Analysis is an attempt to define what should be happening in the market. A periodic review of the daily or weekly market action in uranium stocks. The review is strictly from the technical perspective. Merv is a pure market technician. Weekly, one will find a table of technical information and ratings of the 50 component stocks of the Merv's Uranium Index as well as a weekly summary of the uranium stock activity. Daily (most days), one will find a daily review of the market action of the Merv's Daily Uranium Index as well as technical analysis of one or more uranium stocks of interest. This blog IS NOT a blog providing any fundamental information on uranium stocks. Merv does not have the time to gather such information. Please check with your broker or investment adviser. For those who wish fundamental information on stocks the LINKS section has links to a variety of web sites providing such information. New links are added as they become known. Technical analysis is not perfect. Should you expect perfection this is not the site for you. Technical analysis IS a very sound technique to assess the daily or weekly trading activities in securities and to assess appropriate timing of investment activities. strictly at the users risk. No guarantees are made for the accuracy or potential for the information provided herein. Use at your own risk. You are strongly advised to check with your broker or investment adviser before activating any investment decisions. This blog is still in "development". I have not yet put together a dedicated tutorial for readers. However, there is a very appropriate TUTORIAL located at http://preciousmetalscentral.com/. Go to the SAMPLE section. At the bottom of the SAMPLE section is a link to a TUTORIAL. This tutorial describes how to get the greatest benefit from tables identical to the Uranium Index weekly table. 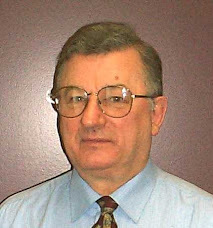 Merv provides weekly commentaries on the precious metals, primarily gold and silver. These can be viewed on a variety of web sites including http://preciousmetalscentral.com/ where you will find information about Merv's Precious Metals Central, a weekly service reviewing 190 gold and silver stocks each week. Check it out if you are interested in gold and silver stocks.